Maybe you want to go it alone? 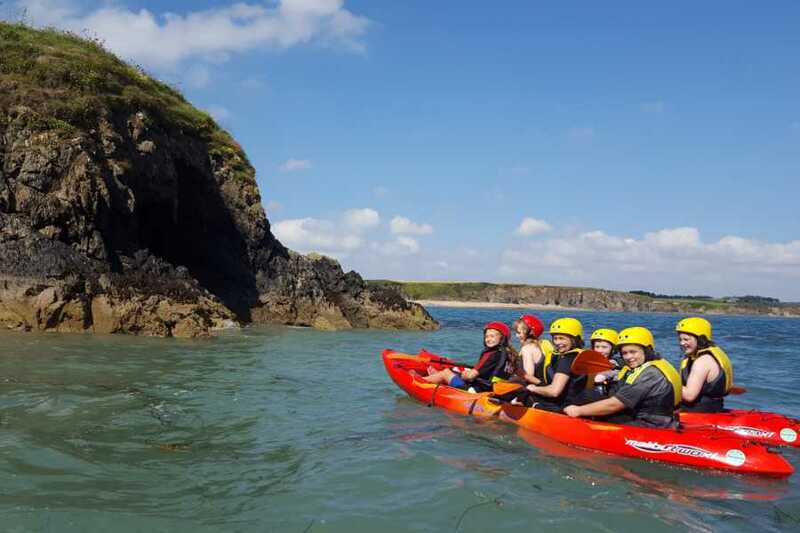 Well if you already have some experience with sea kayaking then why not? Come on down to Baginbun Beach or our booking office on main street Fethard-On-Sea and we’ll sort you out! Ideal for paddlers who want to experience kayaking in the Hook Head area but don’t want to commit to a tour option lasting longer than a couple of hours. Baginbun Bay is known as one of the most beautiful and safe, sheltered beaches in Ireland. We provide ultra stable double/treble kayaks or single kayaks so you can explore the coves and caves all found within the shelter of the bay. We give you full instruction if necessary and provide all necessary safety equipment. Our Double XL Kayaks are a great option for families. Give it a try – it’s easy. Much to explore – Hidden beaches, Coves, Caves and Wildlife.